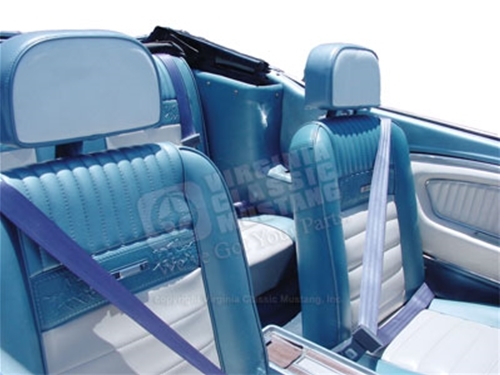 Update your Mustang with our OEM Style Seat Belt Shoulder Harness Sets. These Seat Belts have a great original look with chrome buckles and nice retractors. Hardware included for an easy installation. Please note that these have a 116 inch belt length. We also have a 131 inch belt length for 68-73 Coupe and Fastback Models or any model where extra length is required. Each set includes both front (2) seats. Specify color from drop down box above.